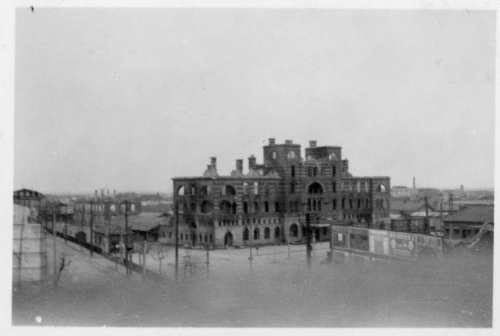 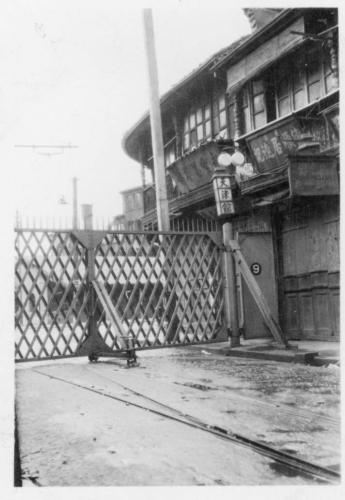 Shanghai was a city awash with foreign goods, including goods from Japan. 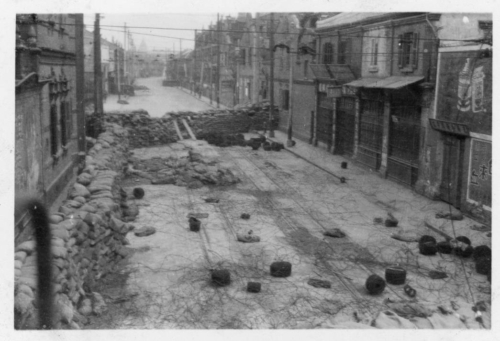 However, at various times there were boycotts on Japanese products. 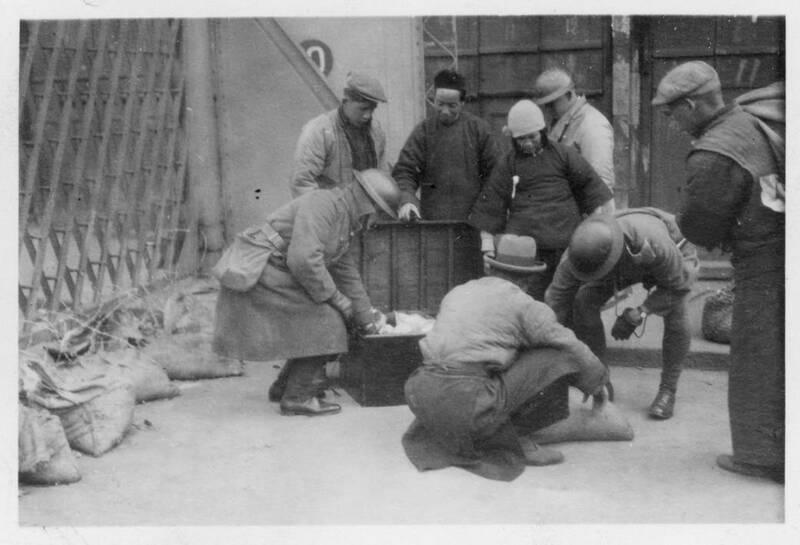 The Japanese invasion of Manchuria in September 1931 led to a very effective boycott of Japanese goods by the Chinese residents of Shanghai. 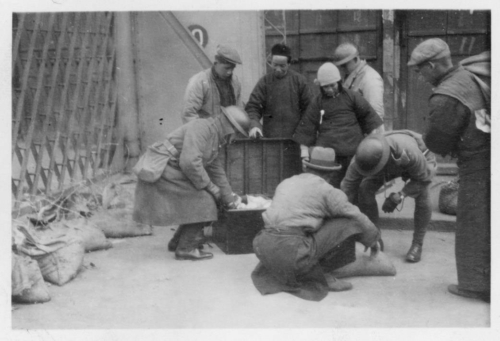 The Chinese stopped buying Japanese goods and Chinese firms refused to stock merchandise from Japan. 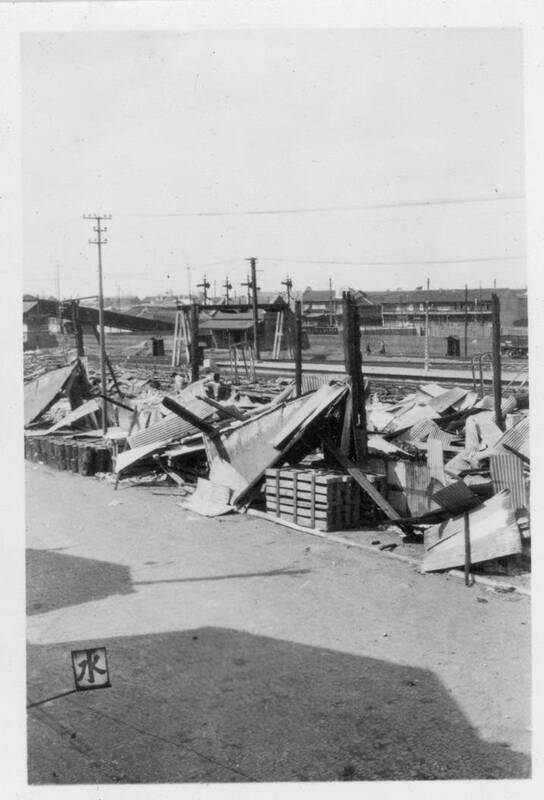 Japanese merchants found their goods piling up at the waterfront. Japanese ships could not offload their cargoes and Japanese passengers were prevented from disembarking by pickets. 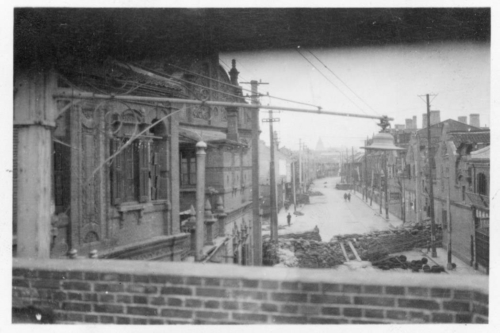 Eventually, many Japanese started leaving “Little Tokyo” in the Hongkou (Hongkew) district of the International Settlement because of the difficulties in obtaining food and other supplies. 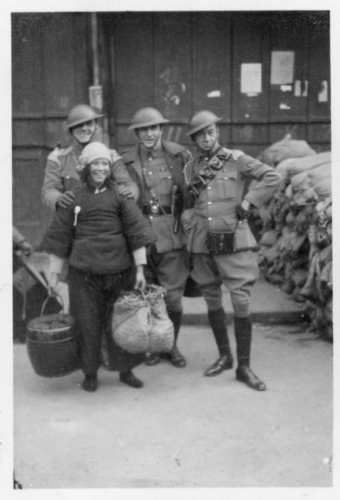 Chinese storekeepers would not serve the Japanese. 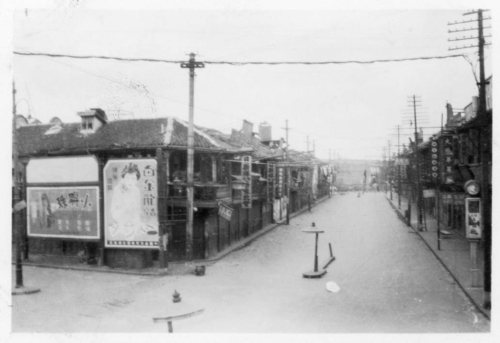 Japan was determined to compel China to rescind the boycott centred in Shanghai. 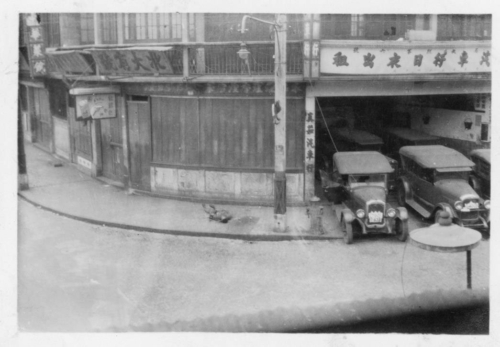 Japanese imports had reduced by five-sixths in the last two months of 1931. 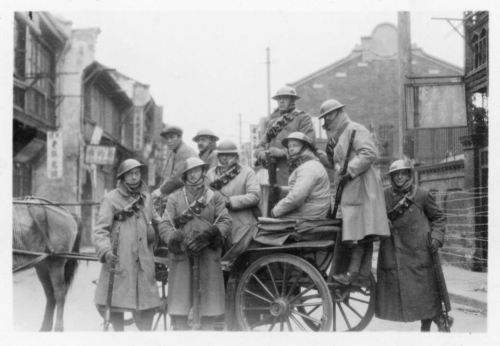 The pretext for action, which some claim was orchestrated by the Japanese, came on 18 January 1932 when a group of Chinese attacked five Buddhist monks from Japan as they left the International Settlement in Shanghai. 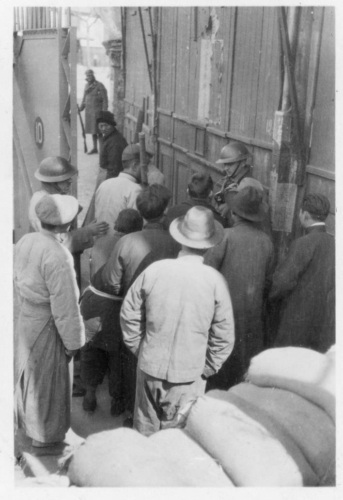 One monk was killed and two wounded. The Japanese Consul General gave the mayor of the Chinese municipality an ultimatum. 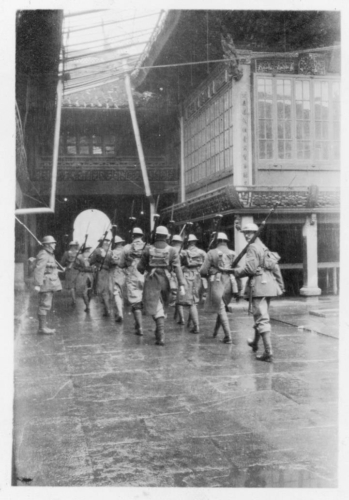 He demanded the arrest of those who attacked the monks, the windup of anti-Japanese organisations and the end of the Japanese boycott. The Japanese navy sailed into Shanghai on 24 January 1932 and the army attacked on the evening of 28 January. 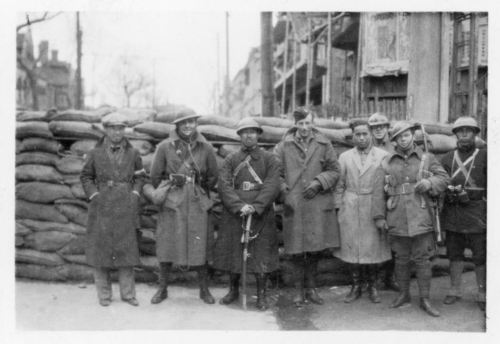 The Japanese were surprised by the Chinese resistance. 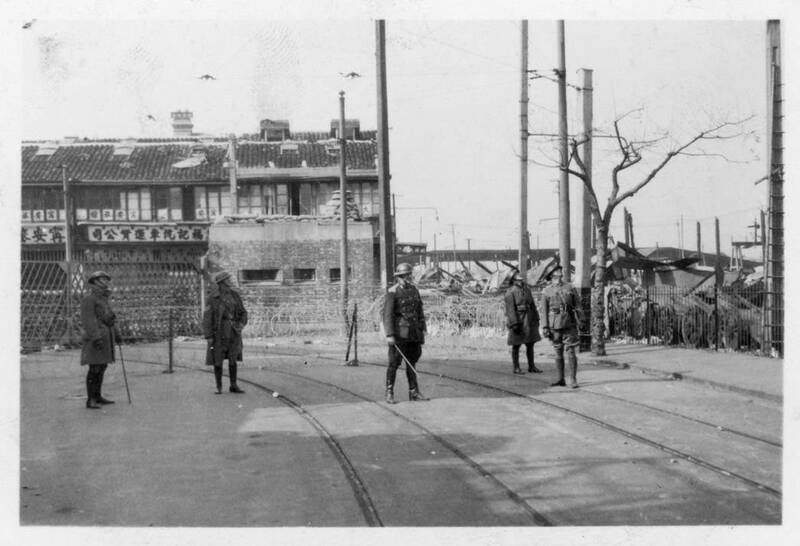 The Japanese naval commander, Admiral Shiozawa, finally ordered the indiscriminate bombing of Zhabei (Chapei), a Chinese district of the city, by his seaplanes. Westerners watched this atrocity from the rooftops of the International Settlement. Nearly 85 percent of buildings were destroyed including hospitals and schools and ten thousand civilians died. 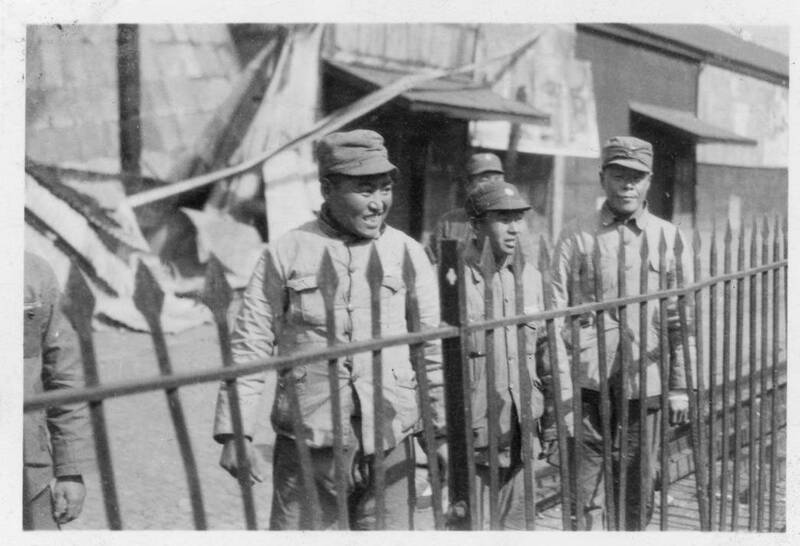 Western newspapers referred to the Japanese as butchers and murderers and The New York Times referred to Admiral Shiozawa as “The Baby Killer”. 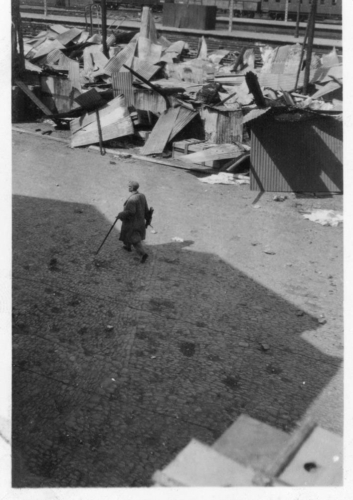 This happened five years before the carpet bombing of Guernica on 26 April 1937. 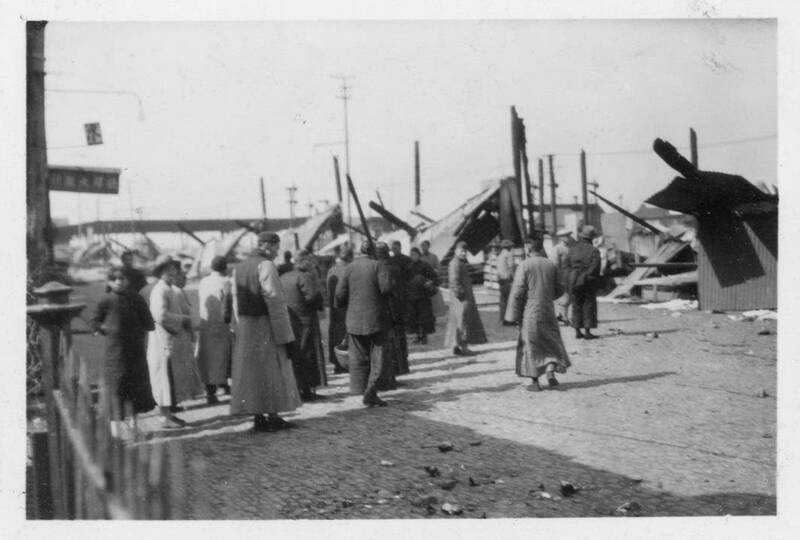 Leading merchants and businessmen involved in the boycott were targeted. Some were abducted and never seen again; some whole families were murdered. 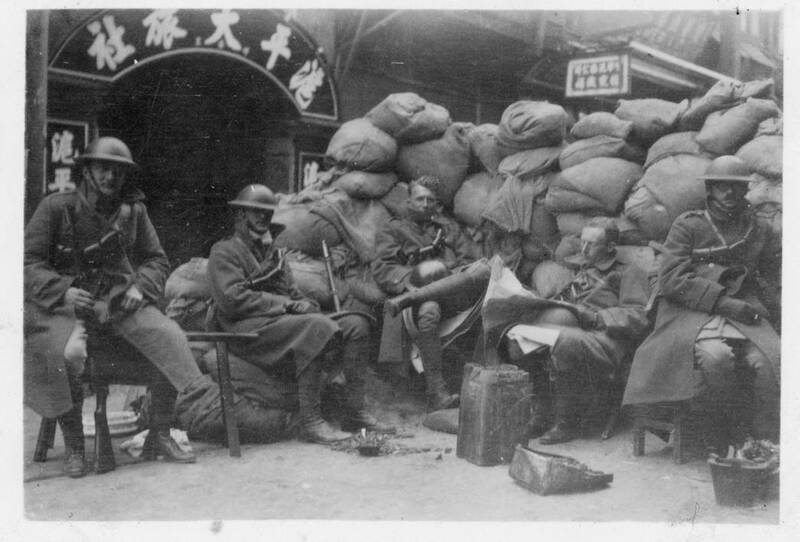 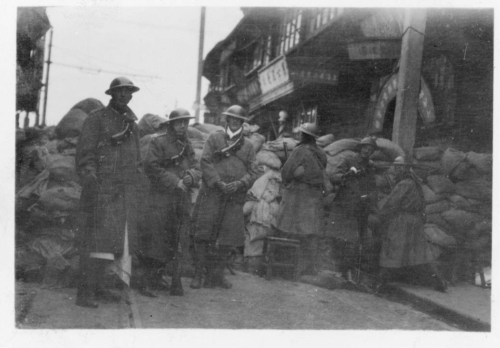 The Chinese 19th Route Army put up a heroic resistance but eventually had to withdraw. 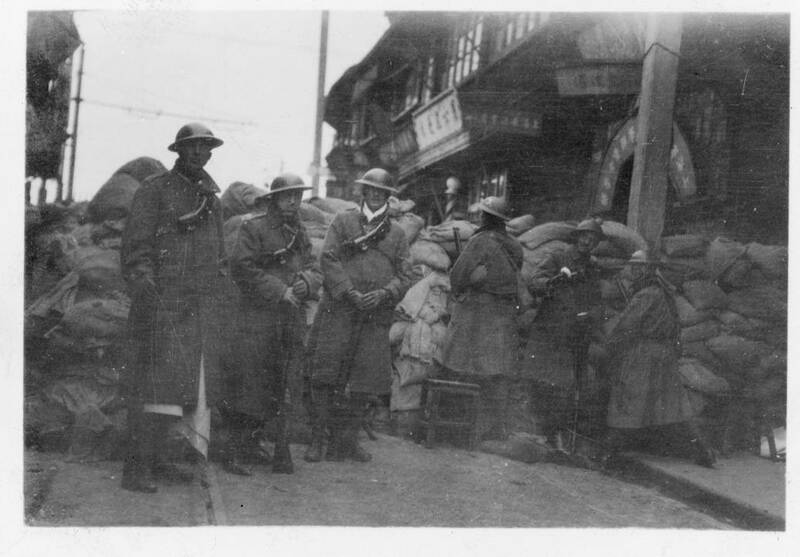 A ceasefire commenced on 3 March, though there was still some sporadic fighting, and on 5 May, China signed an agreement ending the boycott on Japanese goods. For further reading see Hannah Pakula (2010), The Last Empress: Madame Chiang Kai-shek and the Birth of Modern China, London: Phoenix, pp. 225-227; Stella Dong (2001), Shanghai: The Rise and Fall of a Decadent City, New York: Harper Perennial, pp. 212-217; Taras Grescoe (2016), Shanghai Grand: Forbidden Love and International Intrigue on the Eve of the Second World War, London: Macmillan, pp. 19-28. 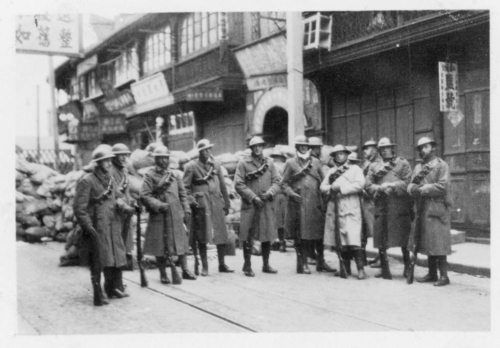 Most major powers in Shanghai had small military units. 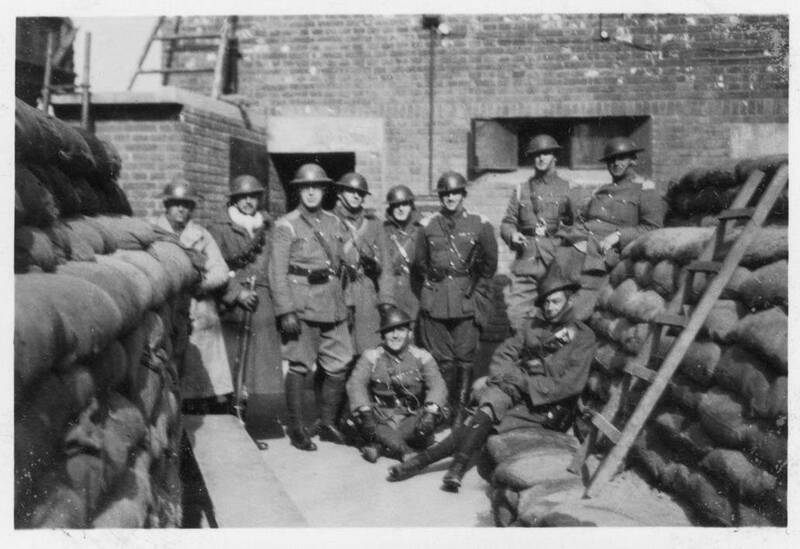 There was also a multinational militia of “weekend warriors” made up of businessmen who in times of crisis would help defend the International Settlement. 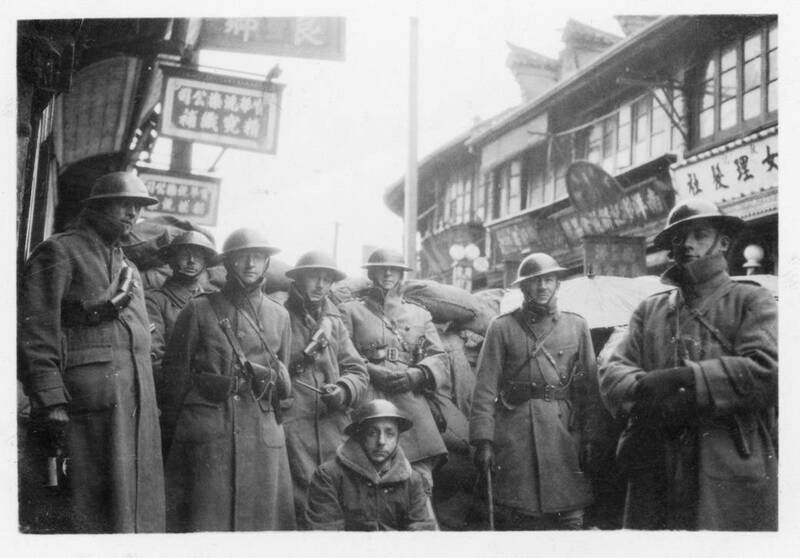 There were over 20 units representing many nationalities – the Shanghai Scottish, the Light Horse, an American unit, a Portuguese unit and whole regiment of uniformed, salaried White Russians. The French had units of Vietnamese soldiers commanded by French officers to defend the French Concession. Winston was one of the “weekend warriors” and he took the opportunity to take numerous photographs of the defences on the northern boundary of the International Settlement and daily life for the militia during the hostilities in that cold Winter from late January to early March 1932. 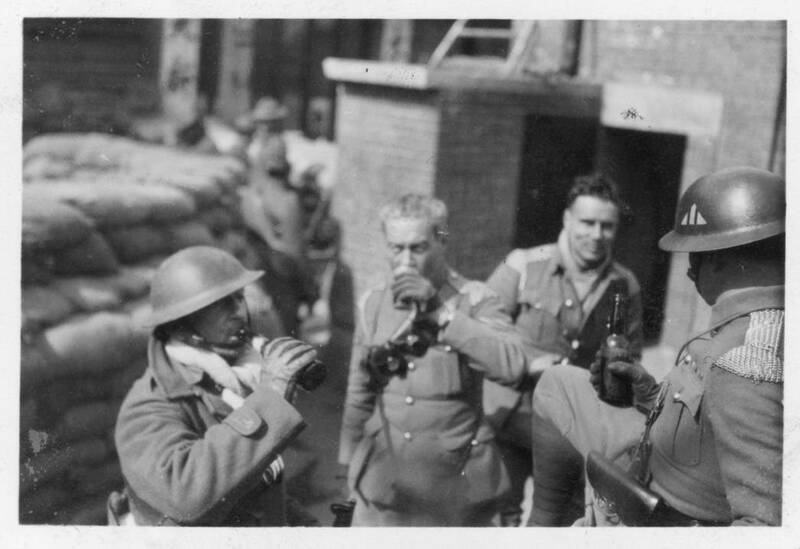 He may well have been in the Light Horse. He certainly knew how to ride, was a member of the Shanghai hunt and took several photographs of the Light Horse on patrol. In the album there is a photograph of a contemporary map showing the war zone (img177) which shows the location of many of the photographs in the album – the border of the International Settlement, North Station, Chapei which was heavily bombed by the Japanese, Kiangwan and its International Racecourse and the Woosung Forts. 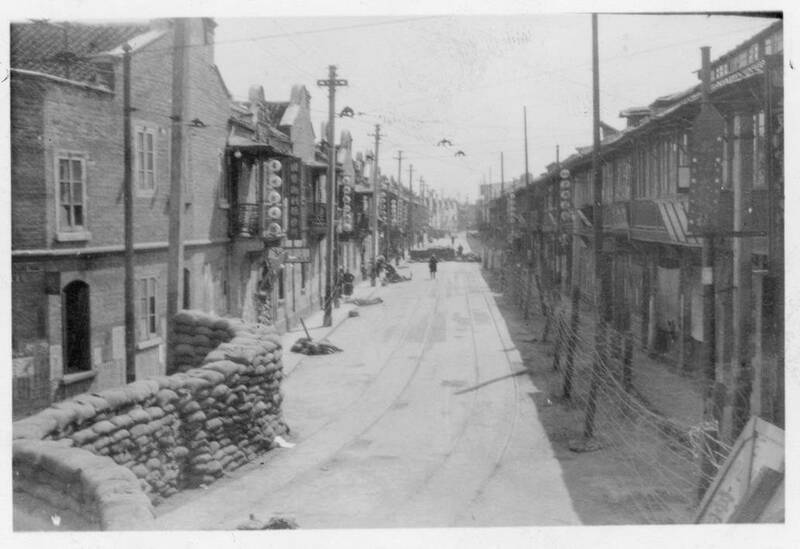 Winston’s photographs include the defences at Honan Road (img120, 122, 130-131, 137, 148-149 & 205) and Cunningham Road (img121 & 132), the international defenders at Blockhouse B (img134 &141) and the White Russians at Blockhouse C (img127-128 & 210). 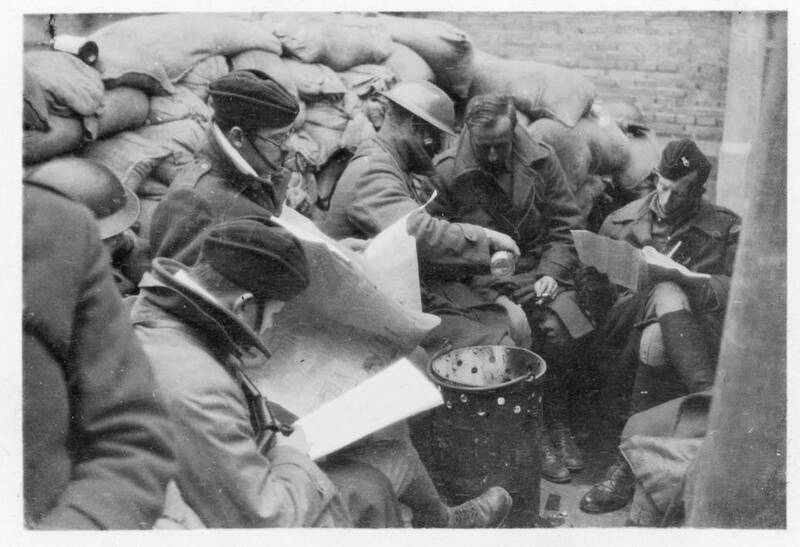 The weather was cold and the waiting was long (img138 & 146), plenty of time for reading the newspaper or writing letters (img136 & 140) or having a beer (img228-229). 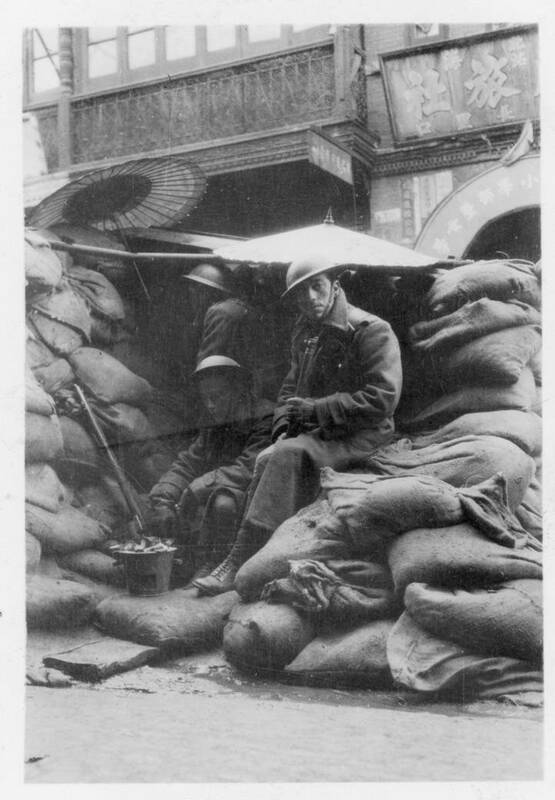 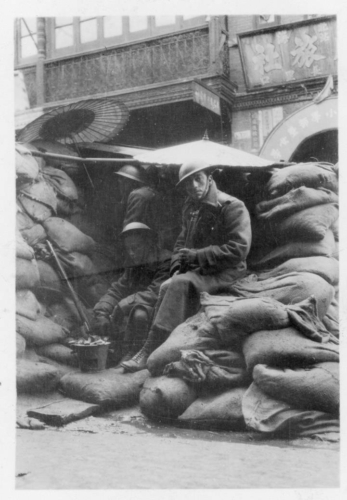 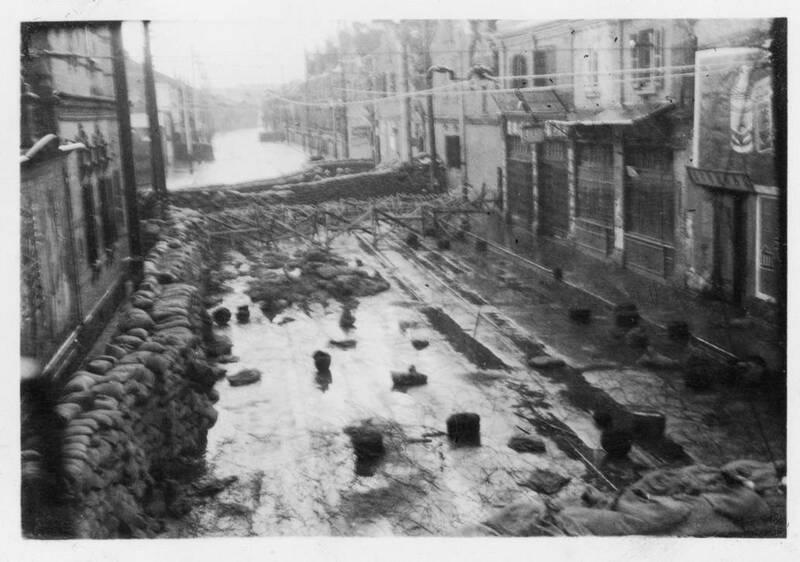 Long hours were spent at the sandbag emplacements (img153, 217 & 224) sheltering with umbrellas if it rained (img150 & 160). But when you had the time, there was the White Horse Inn to visit for a drink (img222) and the evening’s entertainment at the Cunningham Club started at 8.30 pm featuring a chorus line of young dancers (img163). The cost of seat in the stalls was only 20 cents. 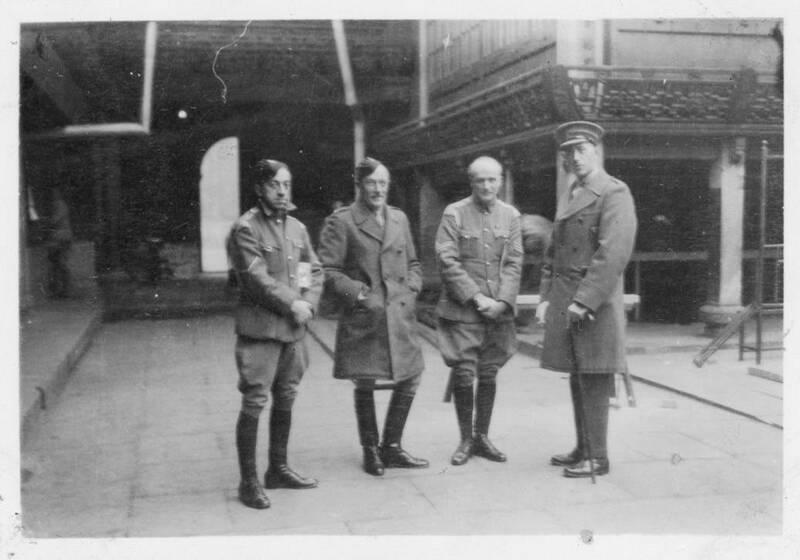 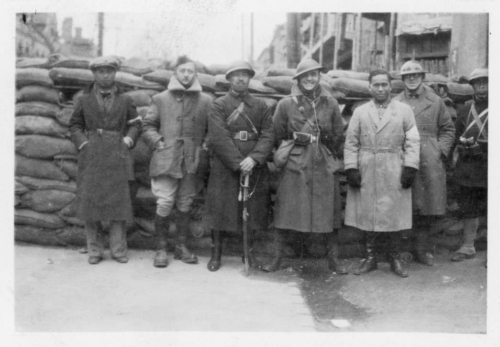 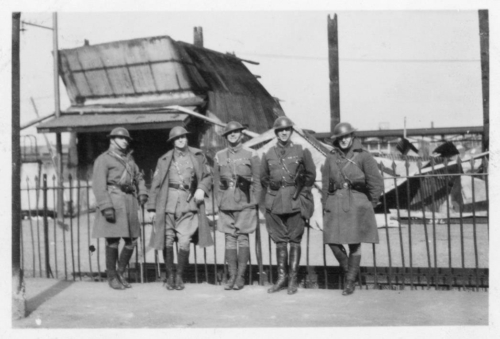 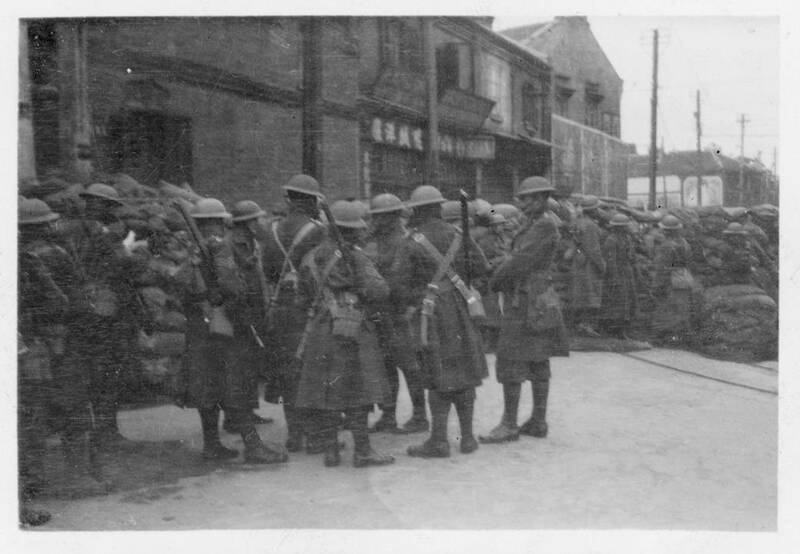 Winston photographed a few soldiers from the Chinese 19th Route Army who valiantly defended Shanghai (img123) and img167 shows the Winter dress of one of these soldiers. Winston went out on patrol with the Light Horse (img230-233) and also photographed the Light Horse taking over the cleaning of billets from the Shanghai Scottish (img212). 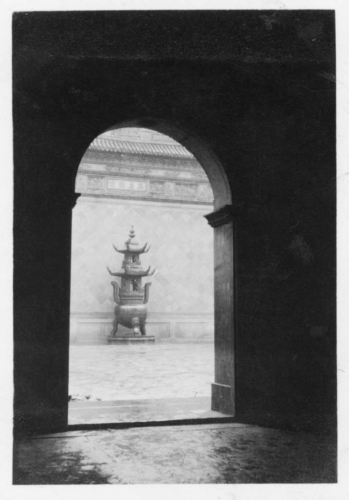 No doubt the Light Horse considered themselves perfectionists. 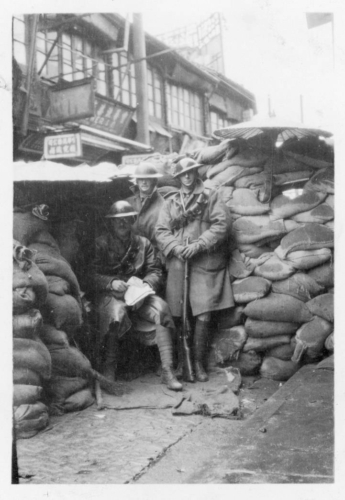 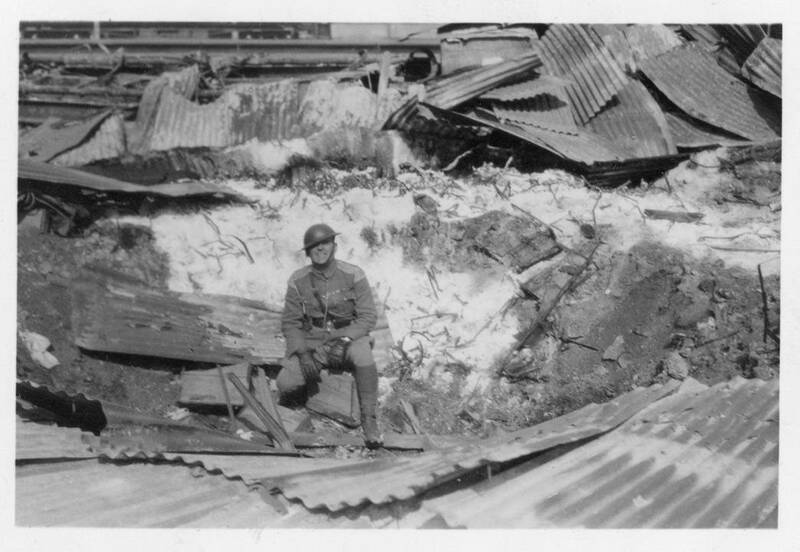 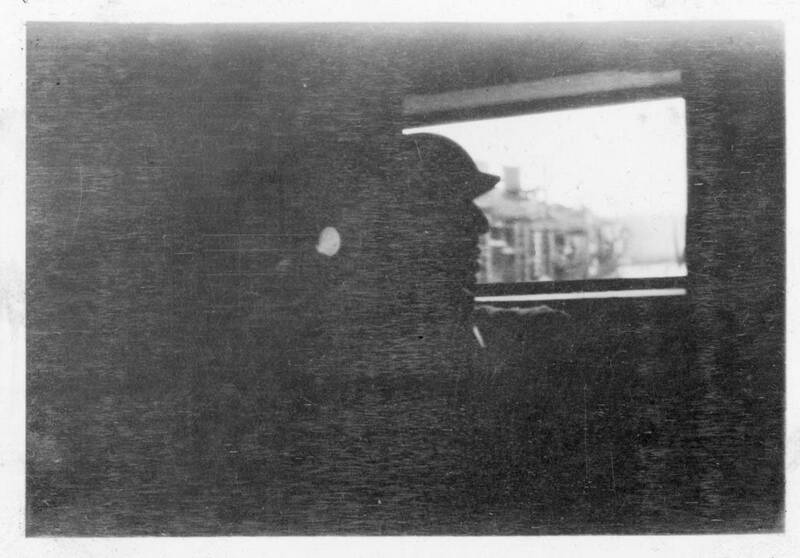 Two images show a member of the Light Horse probably at the billets they used (img218 & 226). 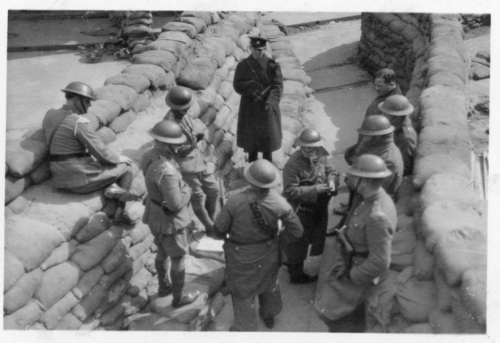 A sentry is shown in img216 and a guard sits outside the Elgin Road School on the boundary of the International Settlement in img214. 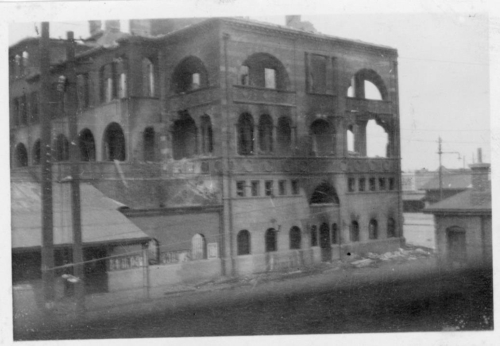 It appears that the militia used a nearby temple as their barracks (img151, 154, 164-166, 225, 227). 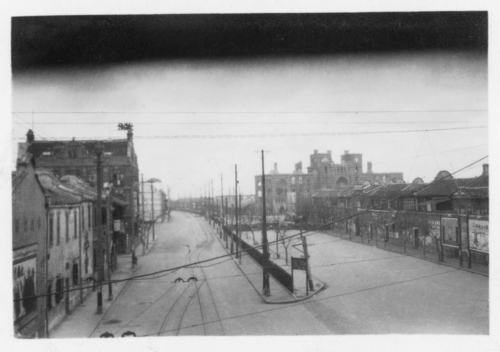 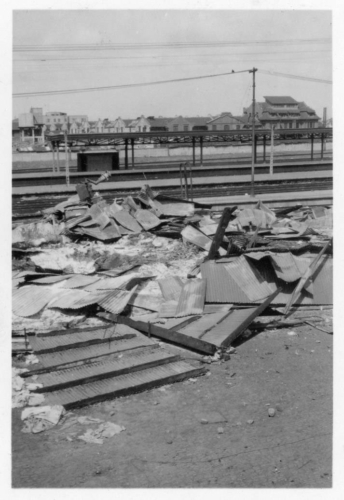 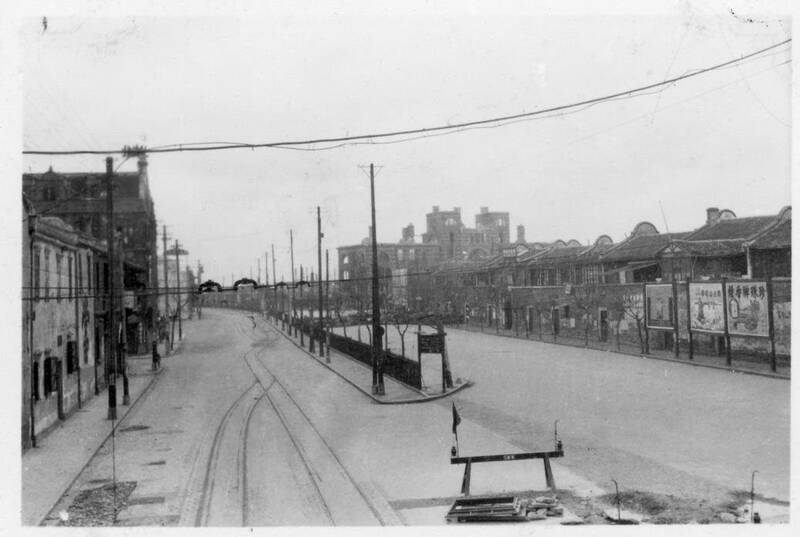 There are several images of the blackened shell of North Station, which was located just outside the International Settlement and a major objective of the Japanese attack (img124-125, 129, 133, 203 & 205). Chapei was mercilessly bombed by the Japanese, the foreign press calling Admiral Shiozawa a “baby killer”. It was estimated that 85% of Chapei was destroyed with thousands of Chinese civilians killed or wounded. 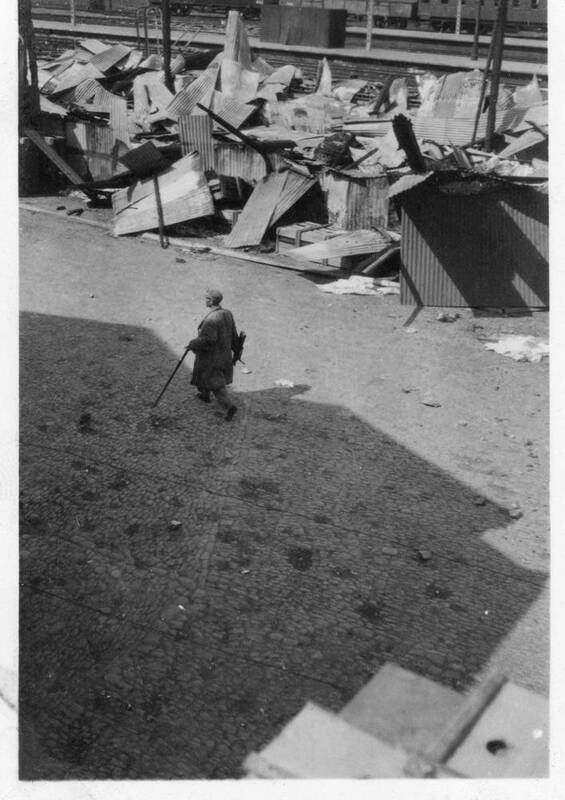 Chinese refugees are shown in the ruins of Chapei (img126 & 209) and there are many images of the destruction particularly near the railway line (img139, 145, 147, 157-159, 162 & 206-206a).